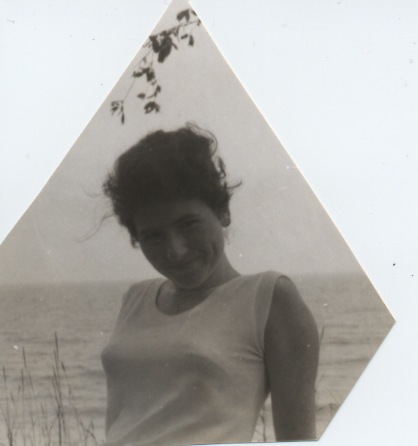 Yesterday would have been my mother’s 83rd birthday. It was the first October 16 since her passing that I was not plowed under in a tunnel of thick astral fog. Blessed be. I celebrated the day in service: in the morning operating a health technology that might have helped Mom see this birthday, and then later in fellowship with light workers helping to unburden all humans of the undertow which drew her asunder. On these anniversaries, we like to honor those who gave us more than we can comprehend while they were alive. Sometimes we do so by calling up the memory of who we thought they were. Eventually it feels healthier not to invoke the past, but to gratefully live as fully as possible with the gifts we carry, as they have evolved in us beyond the imaginings of the loved ones who contributed their seeds. Our loved ones knew who we’d become no more than we did. And we knew who they were then no more than they could know who we’re becoming now. It never ends. They live on and evolve through every heart and body they touched, not only ours. As do we. Every meeting plants a seed. It is in remembering this every hour that we honor the gardeners of yesterday. I have recently come into possession of my father’s photographic legacy. It is a formidable sorting task. The first step was simply to bring it all into the same zip code as me. It has rained nearly every day since I retrieved it. The boxes remain in roped together, snug and dry in my van, cozying up to my bed, offering me added insulation on these wet and cool October nights. For the drive home, I extracted an envelope or two from an also-rans and rejects box, to give away as little tokens of sunshine, like you might hand out cookies. Smiling cards I called them. But I gave them all away in one stroke, as I read a contemplation I’d just written about the images, before the ink could dry or I could deem it unworthy. An act of love is never unworthy, only unpolished. The image he chose from the box and made into a notecard is below, along with my “contemplation.” I won’t call it a poem…. Not unworthy, but definitely not polished. It is not one of his best portraits. which I might not have noticed; but that is less the plant’s fault than mine. She isn’t flashy; a plain Jane pretty as she is hardy. Nor bashful, but demure in the blessing eye of his lens. No sparkle, no choir. Just comely chords of Pink on Green, White on Green. And flourished with a Mum’s head. cooling the feet, and the earth beneath. 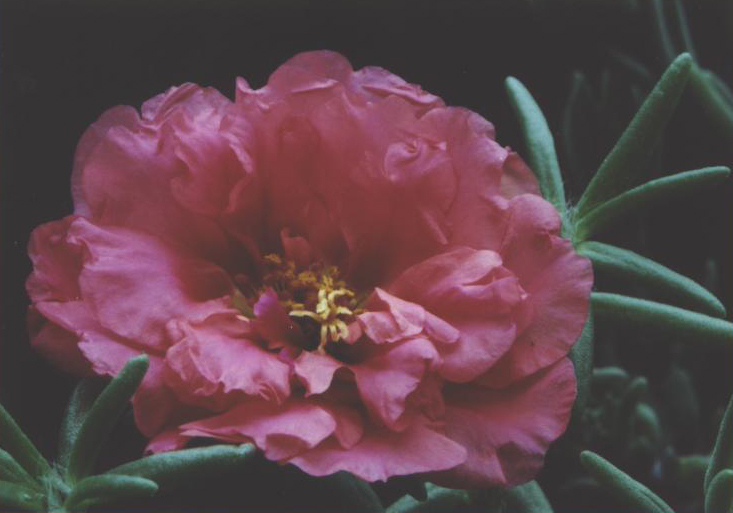 Portulaca: holding water and innocence. Infinitely repeating in His hall of mirrors. The long arc of a train’s beam traced through a starless midnight around Tehachapi Loop. Cactuses bloomed and so did his heart. My father became a friend.